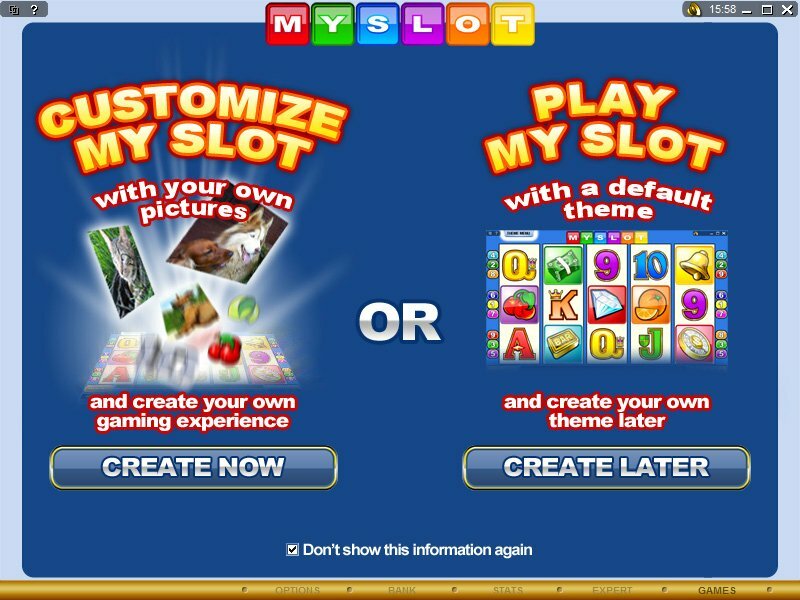 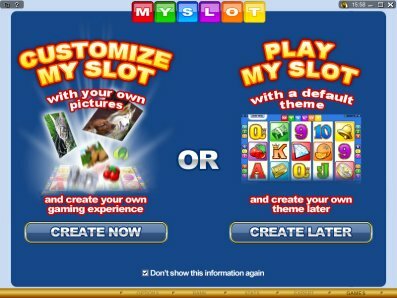 Overview: December 2008: My Slot is a revolutionary new slot type whereby players get the opportunity to design their very own look and feel of the slot! 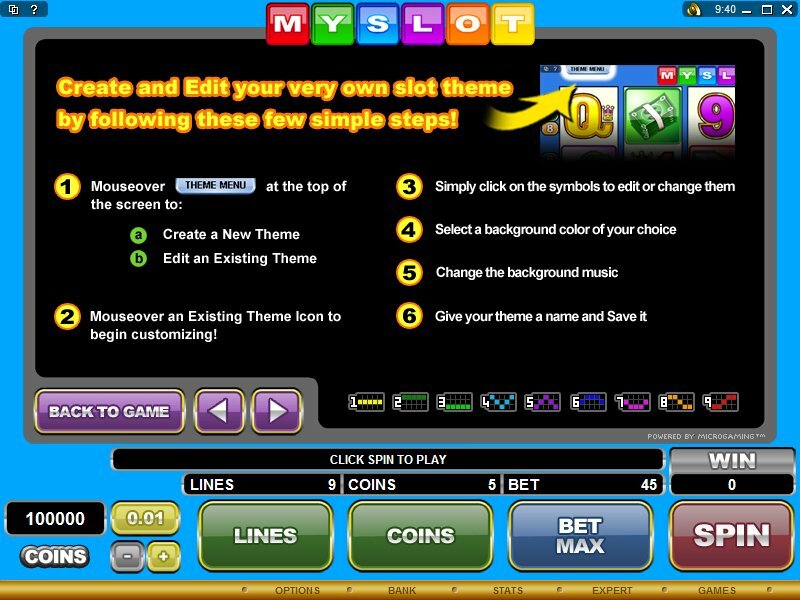 This includes choosing your own symbols, background color and even background sound! 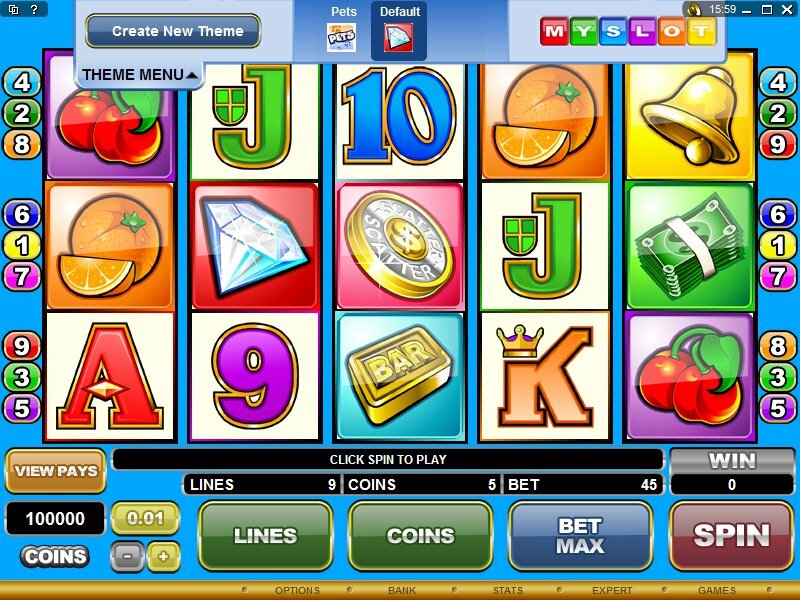 Similar Slots: If you like My Slot Video Slot, you might like these other 5-reel slot machines: Dragon Lady, Jewels Of The Orient, Lady in Red, Love Potion, Snow Honeys, Voila.